One would usually associate the word “KTM” with the train service but for some, they would immediately recognize it as a motorcycle manufacturer hailing from Austria. Well-known for their dirt bikes as well as the hugely successful Red Bull KTM Ajo Moto3 team which include our own Zulfahmi Khairuddin as one of the their rider, KTM also has an assembly factory right here in Malaysia (specifically in Jitra, Kedah) that currently in charge of KTM Duke 200 and Duke 690 for the Asean market. That being said, this particular bike is nothing that KTM is usually associated with. It is a scooter. An electric scooter, nevertheless. 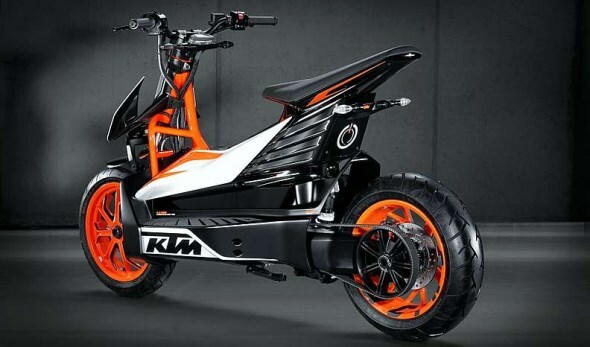 Called E-Speed, it is actually KTM’s second full electric motorcycle after its electric dirt bike – the Freestyle E – which will be released to the public next year. Apparently, KTM is so pleased with the reaction that E-Speed has received at its unveiling in Tokyo Motorcycle Show last month to the extent the company has recently announced that they are working to put the scooter into production by 2015. According to the official stats, the KTM E-Speed prototype is powered by an 11kW liquid-cooled permanent-magnet synchronous motor that produces 36Nm of maximum torque and able to gives the prototype a maximum speed of up to 85km/h. The 4.36kWh battery that is equipped into it is able to last for around 60km (40 miles) and takes around two hours to be fully charged via standard 220V power socket. While full electric vehicles still have not reach mainstream status yet but with E-Speed’s fierce design and the reputation that KTM has, we think there might be a number of willing buyer here. 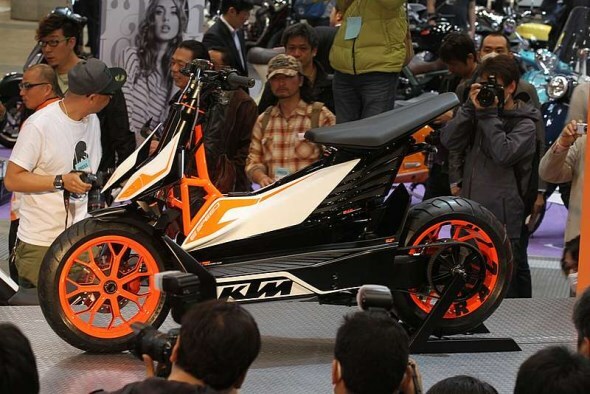 Just that you might want to keep the scooter just for short journey unless KTM is able to equip higher capacity battery to the mass produced version of the bike.